The kitchen sink is one of the most used areas of the kitchen. When choosing a kitchen sink, homeowners are often surprised at the wide array of available materials, colors, styles and prices. Acrylic and stainless steel sinks both have advantages and disadvantages. 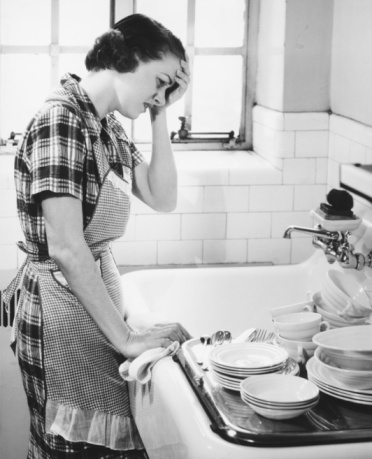 Which sink you choose depends on what are the most important factors to you in your kitchen. When choosing a sink, look for durability, affordability and easy care. Stainless steel sinks are one of the most popular choices among homeowners for several reasons. Their neutral appearance means they will look good with almost any décor. If you're looking for durability, stainless steel should last for a very long time with proper care. Compared to acrylic and other materials, stainless steel sinks will not chip or crack. They are available in a large selection of styles. This type of sink can be very affordable, although those with added features are more expensive. One disadvantage to choosing a stainless steel sink is that it requires some effort to keep this surface looking good. The sink needs to be wiped out frequently in order to avoid a drab or dingy appearance. Keeping the sink dry is important in order to maintain the shine. Sinks made of a thin gauge may sound tinny, making a loud noise when an item is dropped into the sink, which is a problem that isn't likely to occur with acrylic sinks. 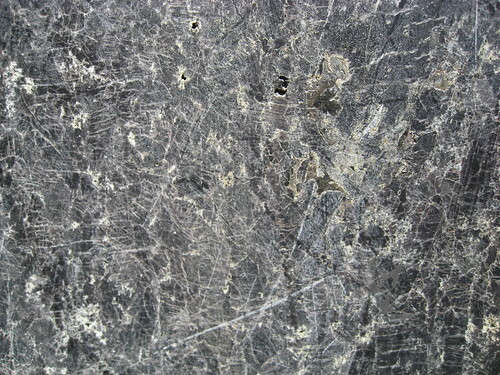 Rubbing a stainless steel sink with an abrasive material may result in visible scratches. Acrylic is plastic that is molded to create the shape of the sink and reinforced with fiberglass. It is a stain-resistant surface and easy to clean using non-abrasive cleaners. A major advantage to choosing acrylic sinks is that acrylic is usually inexpensive compared to stainless steel and other materials. Another advantage to acrylic sinks is that they come in a variety of colors, which can really help make a kitchen appear brighter. They are lightweight and easy to install. Since acrylic sinks are made of soft materials, they can nick or cut easily, so they are not as durable as stainless steel, although scratches can usually be sanded and polished out. They don't tolerate high heat, which means the surface can melt if very hot pans are placed on the surface. 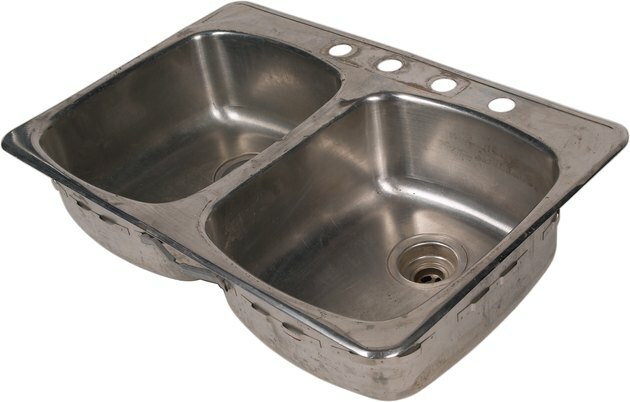 This type of sink can be damaged by petroleum-based products, according to HomeStyleChoices.com. What Should I Use to Clean My Black Acrylic Sink?